ALFRED CYRIL MICHALSKY- AGE 91 OF LA GRANGE- Funeral Services will be held at Sacred Heart Catholic Church on Wednesday, April 24, 2019 at 10:00 a.m. Burial will follow at La Grange City Cemetery. Visitation will be held on Tuesday, April 23 from 10:00 a.m. to 7:00 p.m. at Koenig-Belvill Funeral Home. Family will receive friends from 5:00 to 7:00 p.m. A rosary will be recited at 7:00 p.m.
LACEY DAWN (OHNHEISER) LEWIS- AGE 38 OF SCHERTZ- Funeral services will be held on Monday, April 22 at 4pm at United Evangelical Lutheran Church in Swiss Alp. Interment will be in the Swiss Alp Lutheran Cemetery. Visitation will be held on Sunday, April 21 from 12 to 7pm at Koenig-Belvill Funeral Home. Family will receive friends from 4 to 7pm and a prayer service will be held at 7pm. BYLER THANE LEHMANN-AGE 24 OF LA GRANGE- Funeral services will be held at 2pm on Tuesday, April 23 at Phillips and Luckey Funeral Home in Giddings. Burial will follow in the Chriesmann Chapel Cemetery in Deanville. Visitation will be held on Monday, April 22 from 11am to 8pm and on Tuesday, April 23 from 7am to 2pm at the funeral home. Family will be present for visitation from 5pm to 7pm on Monday at the funeral home. 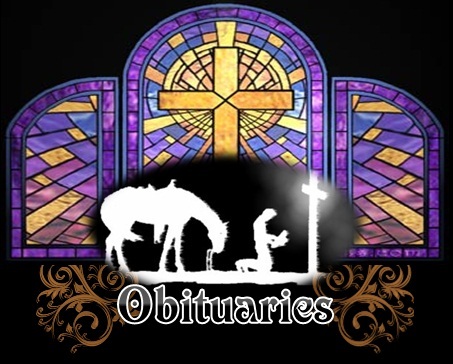 ROBERT “BOBBY” BURTTSCHELL-AGE 81 OF GIDDINGS- Funeral services will be held at 10am on Friday, April 26 at Phillips and Luckey Funeral Home in Giddings. Burial will follow in the Giddings City Cemetery. Visitation will be held on Thursday, April 25 from 10am to 8pm and on Friday, April 26 from 7am to 10am at Phillips and Luckey Funeral Home in Giddings. Family will be present for visitation on Thursday from 5pm to 7pm.